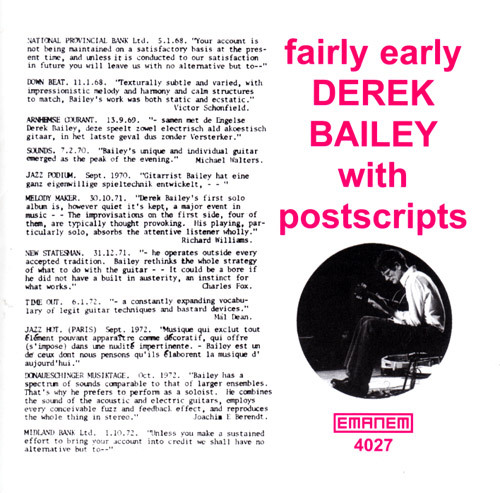 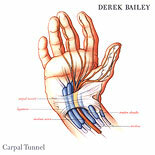 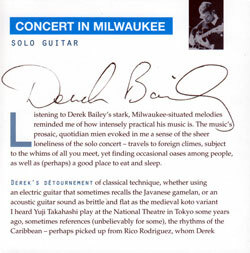 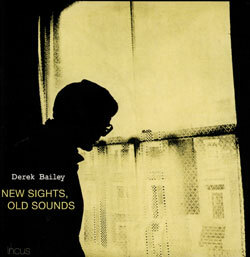 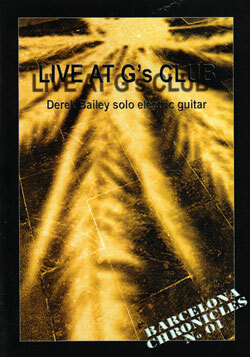 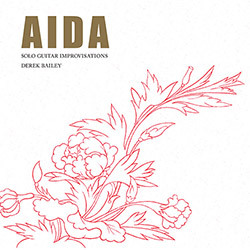 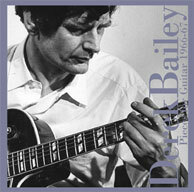 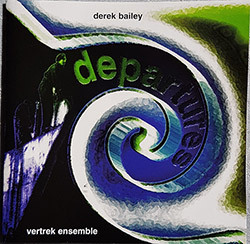 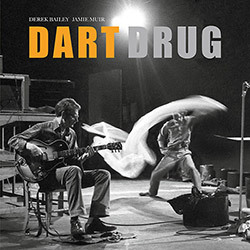 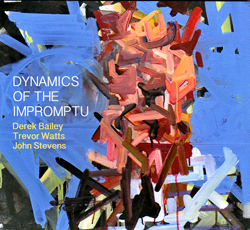 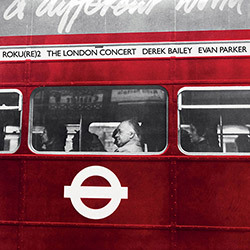 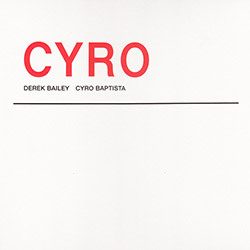 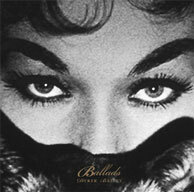 "Fairly Early With Postscripts is meant to be a scrapbook of Derek Bailey's activities from 1971 to 1998. 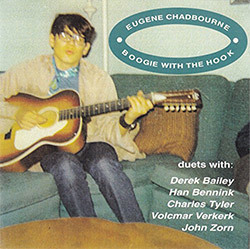 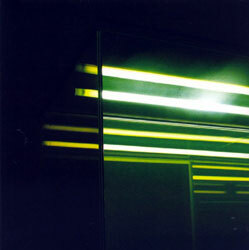 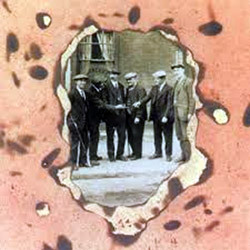 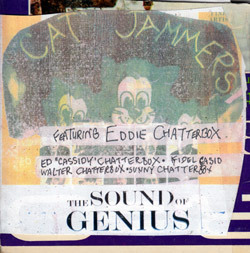 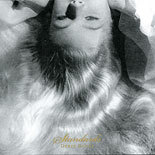 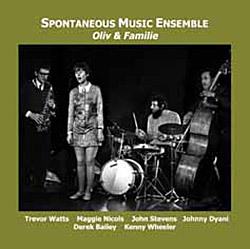 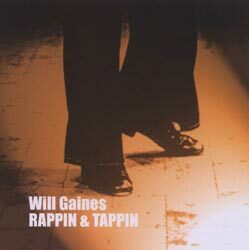 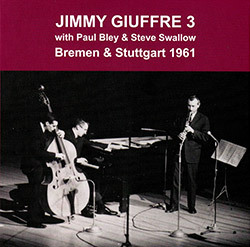 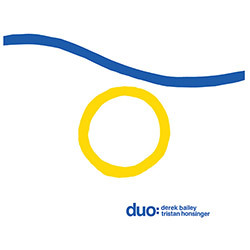 Most of the material included on this CD had been previously released on hard-to-find LPs (mostly on the label Emanem) and features the guitarist solo. 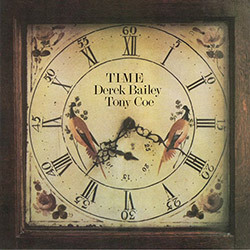 "Six Fairly Early Pieces" (1971), a suite of very sharp performances on amplified guitar with volume pedal, remains the best and most significant moment of the album. 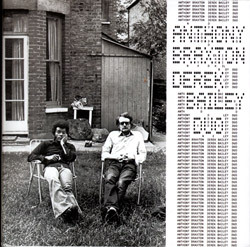 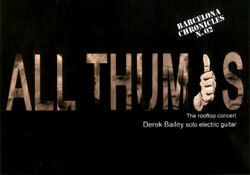 There are a couple versions of "Rehearsal Extract" with Anthony Braxton, where Bailey plays a mutant 19-string guitar. 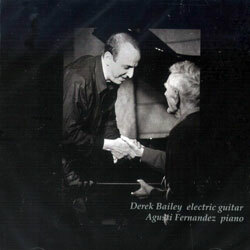 "Tunnel Hearing" provides a good acoustic solo performance. 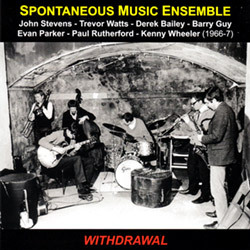 "A Bit of the Crust" and "A Bit of the Dumps" feature Kent Carter on bass and John Stevens on drums. 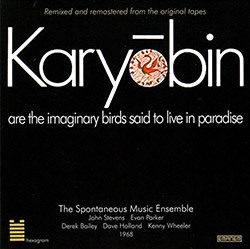 The two "The Last Post" tracks and "Postscript" are excerpts from cassette letters sent to label owner Martin Davidson and date back to 1979 and 1987. 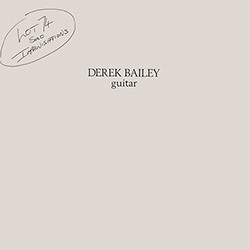 Bailey plays guitar while commenting on various subjects, including Margaret Thatcher's politics (more personal parts have been edited out). 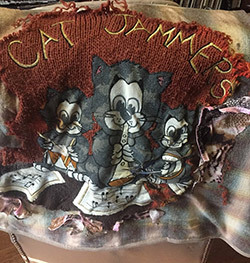 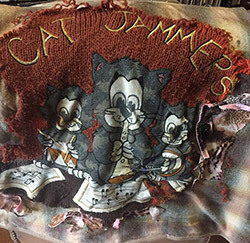 Before this CD was completed, Bailey went into the studio to record a short "Post Postscript," the only track from the 1990s, where he brings an update on previous subjects (this one is very funny).